S and J Signs offer the full range of sign services such as repairs and installations. We are committed to providing amazing quality that will help your business to grow. 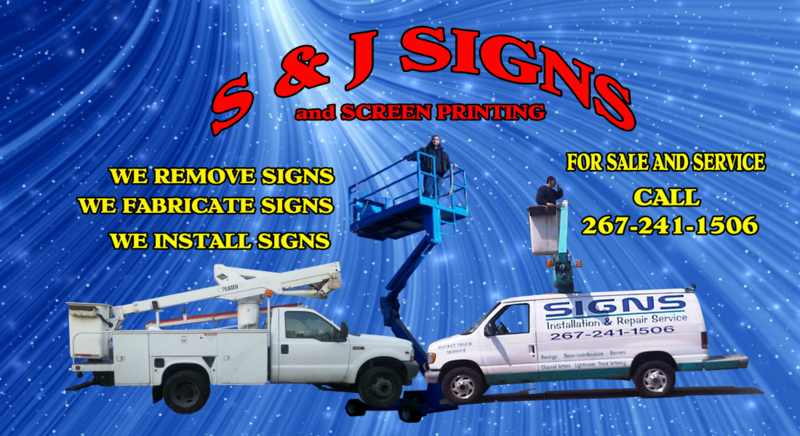 S and J Signs help you with any repair and installation needs. S and J Signs also offer you in-house sign fabricating equipment and machinery. We provide you with a service vehicles operated by certified installers and experienced technicians. 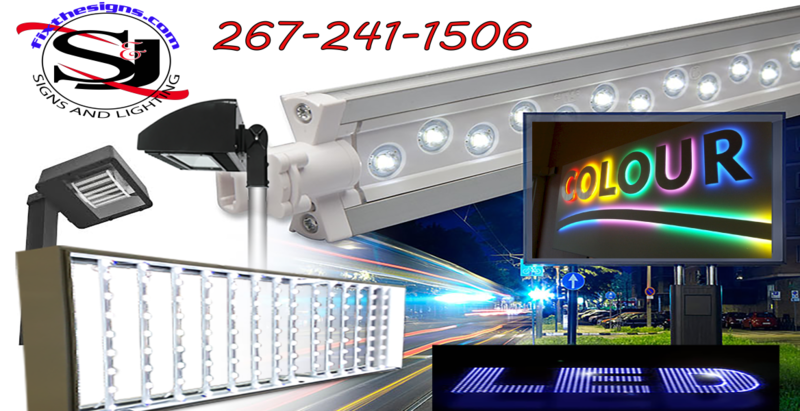 Additionally, S and J Signs Energy Saving Program will help you save money by retrofitting your existing sign or lighting to LED lights saving you thousands of dollars on electricity & maintenance. S and J Signs are committed to offering our clients a full range of services: repair and installation, sign design, fabrication, installation, and sign maintenance programs. Our dedication to excellence is recognized by our customers with whom we strive to treat as more than just business clients. Every project is different, but we listen to the needs of our customers to craft the perfect sign to ensure their storefront gets the proper attention. S and J Signs understands that effective signage isn’t something that just happens. It requires detailed planning from start to finish. Whether you require a small neon sign, a storefront sign, or channel letters and any and all repairs and installations.. Trust that S and J Signs will give each project the attention it deserves. Our team of professional sign consultants along with our experienced project managers work with you every step of the way to ensure satisfaction. 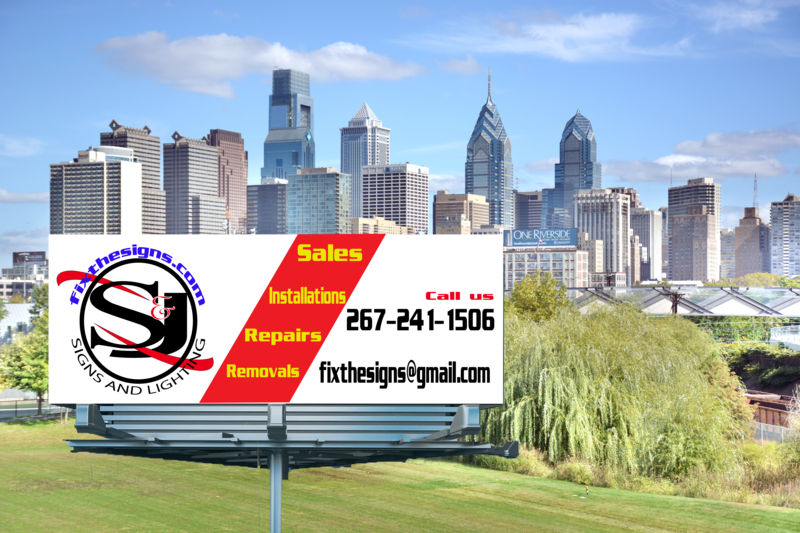 S and J Signs are available in and around Philadelphia PA.
For S and J Signs Signs, it doesn’t stop there.. our night patrol team works after hours patrolling the streets to assure that your building signs , pylon signs and parking lot lights are working at 100%. Letting these problems go unresolved can hurt your business and in some cases, become a safety hazard if not repaired timely. 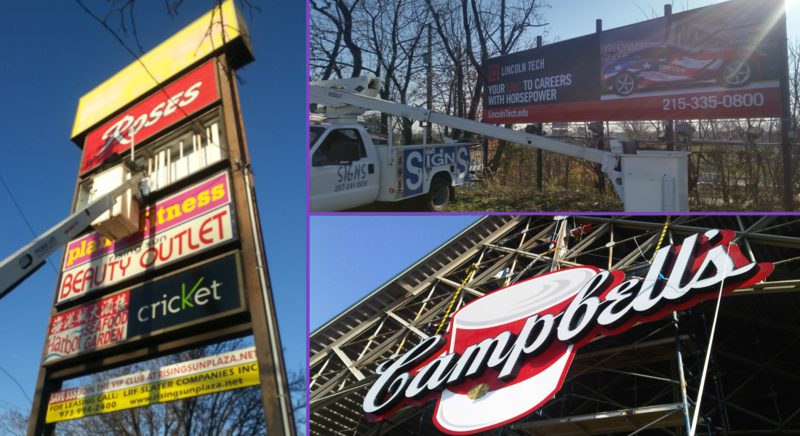 With S and J Signs, our repair and installation services are world-class electric signs in our customer’s image. We are committed to offering our clients a full range of services: sign designs, fabrication, repair and installation, and sign maintenance programs. Our dedication to excellence is recognized by our customers with whom we strive to treat as more than just business clients. Every project is different, but we listen to the needs of our customers to craft the perfect sign to ensure their storefront gets the proper attention.